Wins in any of the respective categories would mark the first time many of the cast and crew members have received an Oscar Award. Black Panther is officially on the brink of adding “Oscar Award-winning film” to its’ growing list of accolades. Following a year that saw the history-making blockbuster bring in over $1 billion worldwide at the box office to become the third highest-grossing film in the U.S. and the ninth highest-grossing film of all time, the Marvel masterpiece has now earned a total of seven 2019 Academy Award nominations. The Academy announced the highly-anticipated list of this year’s nominees early Tuesday morning. Nominations earned for Black Panther include Best Picture, Best Original Song (All The Stars – SZA feat. Kendrick Lamar), Best Costume Design (Ruth Carter), Best Original Score, Achievement in Sound Mixing, Achievement in Sound Editing and Achievement in Production. The news comes just over two weeks after the 2019 Golden Globe Awards kicked off Hollywood’s red carpet season, which saw Black Panther earn two nominations but come up short on any wins or a much-deserved Best Director nomination for Ryan Coogler — a clear miss on the part of the Hollywood Foreign Press. 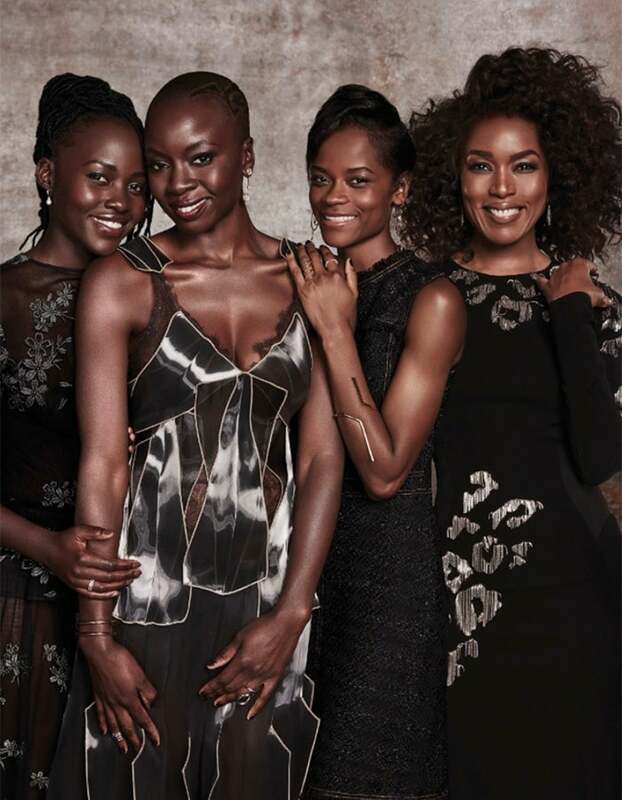 Wins in the respective categories would mark the first time many of the cast members and crew, including Angela Bassett, Danai Gurira, Chadwick Boseman, Michael B. Jordan, Daniel Kaluuya, Leticia Wright, and Winston Duke, as well as director Ryan Coogler and costumer designer Ruth Carter, have ever received an Academy Award. The 91st Annual Academy Awards air Sunday, February 24 live on ABC.